I, am able to teach. Some of them with a local PADI Dive Center. 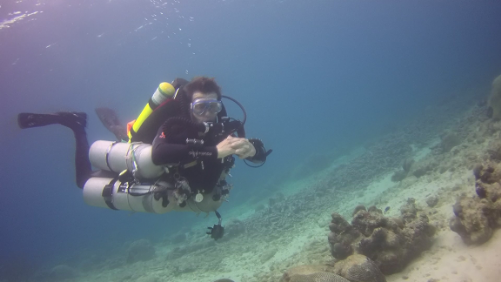 By clicking on a course you go to www.PADI.com for more details. Tec Diving is the type of diving I like most at the moment. But also TEC 40/TEC 45/TEC 50 in Side Mount and in back Mount configuration. For me it’s all about Side Mount diving, so I don’t dive Back Mount anymore. But I know this for sure: Once you try Side Mount you’ll never want to use Back Mount again. What about the Combination CCR / Tec Side mount? Okay now what???? I like this, and wane gets started. Maybe a Discover Tec/CCR is the answer. What are the Prerequisites to do the Discover Tec/CCR? For Discover Tec to credit toward the Tec 40 course, the participant must meet the prerequisites for the Tec 40 course. READY TO START YOU’RE ADVENTURE?